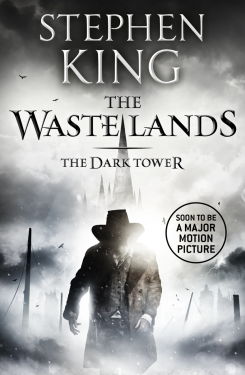 In the third novel in King’s epic fantasy masterpiece, Roland, the Last Gunslinger, is moving ever closer to the Dark Tower, which haunts his dreams and nightmares. Pursued by the Ageless Stranger, he and his friends follow the perilous path to Lud, an urban wasteland. And crossing a desert of damnation in this macabre new world, revelations begin to unfold about who – and what – is driving him forward. A blend of riveting action and powerful drama, The Waste Lands leaves readers breathlessly awaiting the next chapter.